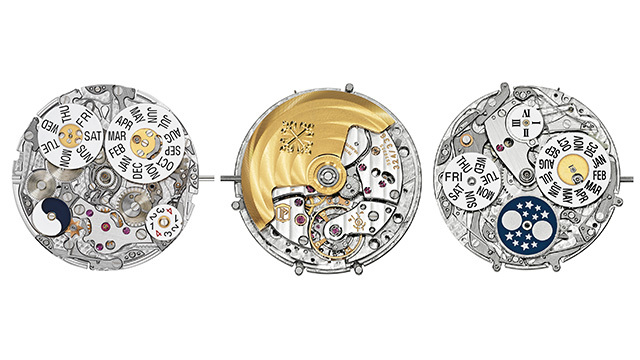 A comprehensive guide to the Swiss luxury manufacture’s signature complication. In the pursuit of time, man looked to the heavens. He observed how the movements of the sun, moon, and stars coincided with the rhythms of his life—from the flooding of the rivers to the abundance of harvest. Guided by the passing of these celestial bodies across the sky, he first charted time with the creation of the solar and lunar calendars. A few major adjustments were made across history. Julius Caesar amended the Roman Calendar, which, because it was based on the moon and thus 10 days short of the natural year, was at times out of sync with the seasons. The Julian Calendar fixed its eye on the sun, setting 365.25 days in a year and adding a leap day every four years in order to synchronize with the solar year. It was also under the rule of the Caesars when that quirk of July and August both tallying at 31 days originated, despite following each other in the calendar. This can be pinned down to a matter of pride as Augustus Caesar also wanted the month named after him to have the maximum number of days as his grandfather Julius's month. Julius' fix—that a year is divided into 365.25 days—did not perfectly match the order of the sky, and so after around a thousand years of counting time via the Julian Calendar, important dates in religion such as Easter became off by 10 days. In 1582, Pope Gregory remedied the discrepancy by simply lopping off those 10 days from October in his Gregorian Calendar. These refinements made the calendar even more accurate until it became the modern system we know today. 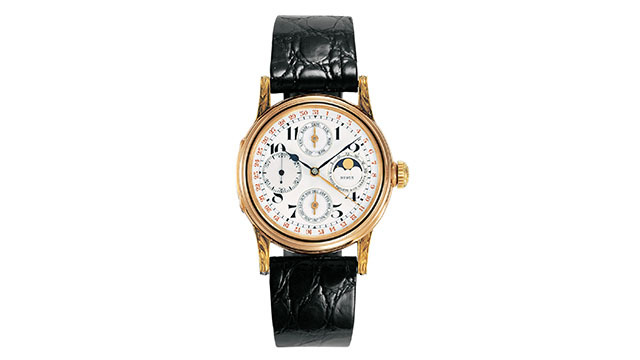 With the arrival of watchmaking, man put the functions of the calendar onto clocks, pocket watches, and wristwatches. In 1889, Jean Adrien Philippe, co-founder of Patek Philippe, was granted the Swiss patent for the perpetual calendar mechanism for pocket watches. In 1925, the Genevan watchmaking company made history by creating the very first perpetual calendar wristwatch, the Reference 97’975, which effectively transferred the precious movement from the darkness of pockets to the wrists of modern men. 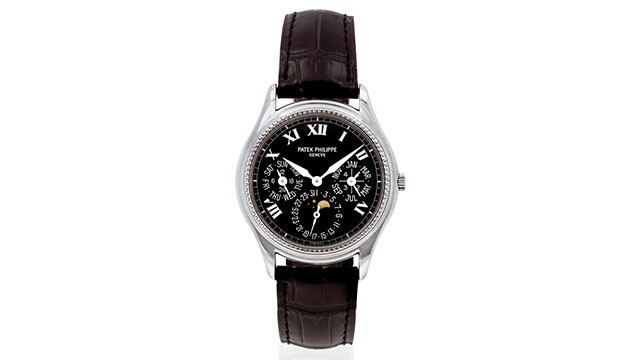 In 1941, Patek Philippe produced its first series-made perpetual calendar wristwatch, the Reference 1526, creating a stronger association between the brand and perpetual calendar watches which are most favored by watch collectors. A timeless classic, the calendar watch also has the most essential complications as it tracks the movement of time based on the same sky that men have peered into for millennia. 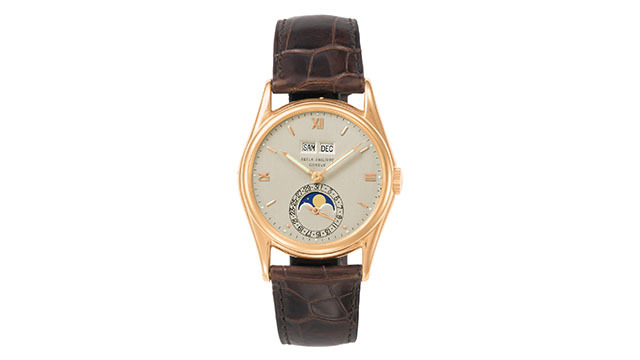 It reports the time, the day of the week, the date of the month, the month itself, and even the movements of the moon simultaneously, and Patek Philippe, through its repertoire of more than 100 patents, has been at the forefront of designing and producing this noble watch complication. 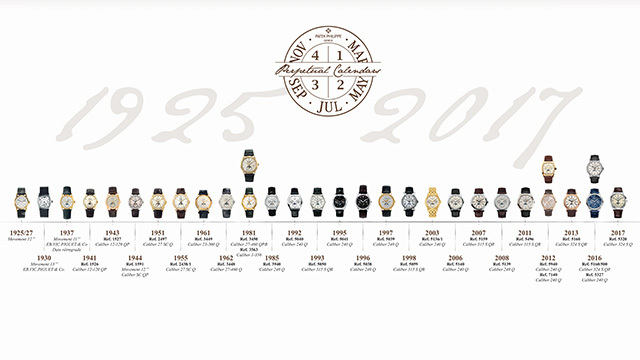 Three varieties comprise this family of watches: the simple, the annual, and the perpetual calendars. All provide calendar information but require different levels of manual intervention to present data. Some require setting the crown a few times a year, while others don’t even require you to lift a finger at all. The simple calendar watch offers a very useful piece of information one looks forward to on a daily basis: the date. Through an aperture or a subdial, it displays the first to the 31st of each month. When other nuances are added—the time, the date, the day, the month—the simple calendar becomes a complete calendar. These basic calendars require an adjustment whenever the month has less than 31 days, which means setting the correct date five times a year. 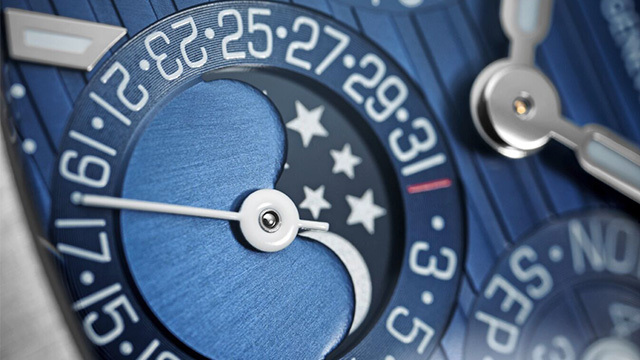 The annual calendar watch displays the time, date, day, month, or moon phase, but requires manual intervention only once a year. It can tell whether a month has 30 or 31 days, but during the very special month of February, which has either 28 or 29 days, the wearer of the annual calendar must adjust the date at the end of the month, or on March 1st. The annual calendar wristwatch is a modern creation, with Patek Philippe patenting the very first, the Reference 5035, in 1996. With more smarts under the crystal than the simple or annual calendars, the perpetual calendar watch never needs manual intervention. A mechanical memory of four years allows it to tell whether a month has 28, 29, 30, or 31 days, and automatically reflect the correct date of all 12 months of the year. There is a caveat: In 2100, the next secular year in the Gregorian Calendar, the perpetual calendar watch will need adjustment on the first of March (an ancient rule prevents it from becoming a leap year). By then, however, you most probably would have passed your Patek Philippe on to its next wearers—your children and grandchildren—so you might not need to touch it in your lifetime. 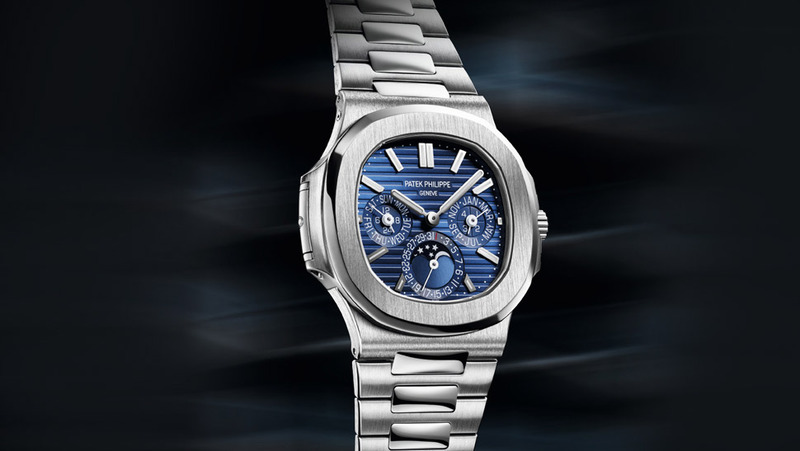 One exception is the Patek Philippe Caliber 89. Made for the manufacturer’s 150th anniversary, is the only timepiece that truly will not need adjustment—at least until the 28th century—as it houses the most complicated perpetual calendar movement in horology, the secular perpetual calendar. 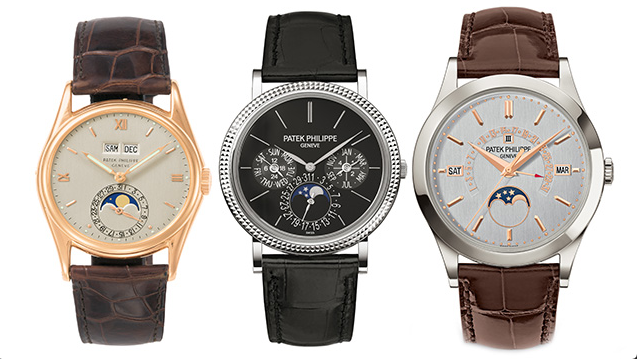 Patek Philippe uses three distinct dial displays for its perpetual calendar wristwatches. The first—and often considered as the cleanest—style displays the day and month via twin in-line windows on the upper half of the dial, and the date via a subdial at six o’clock. The second style captivates by presenting various information—date, day, month, or year—through several small hands and subdials on the lower half of the dial. The third deviates from the traditional subdial in favor of the sophisticated retrograde indicator that points to the days of the month in an old-fashioned arc. You can say that this, the sweep of time along a crescent, is the most Patek Philippe way of capturing the movements of the heavens. Visit Lucerne's website and Facebook page for more info. This article was created by Summit StoryLabs in partnership with Lucerne.